Liv.52 may ensure optimum liver function through the protection of the hepatic parenchyma, and by way of its potent antioxidant properties, it acts as a powerful detoxification agent. Liv.52 may neutralize all kinds of toxins and poisons from food, water, air and medications, all sources of detrimental effects on the liver. Counteracting those hard-to-avoid poisons and therefore protecting one of the body"s most important organs, Liv.52 has enormous health benefits for everyone. 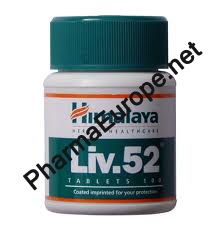 Liv.52 was introduced in 1955 as a specially formulated liver support product. Since then, Liv.52 has been sold worldwide and is recognized by thousands of health professionals as one of the most effective liver formulas, with beneficial effects reported in over 300 studies on a variety of cases. Alcohol users in particular found Liv.52 helpful with maintaining a healthier liver. It also may help those taking necessary allopathic medications who want to protect themselves against the damaging hepatotoxic side effects of those medications.